For the first time in seemingly weeks, I woke up this morning to other pilgrims, and not my alarm. The last days on the Norte had felt so relaxed, with not many pilgrims in the albergues, with everyone “sleeping in”. I often felt like I was one of the first to get up, but that wasn’t the case this morning, as alarms started going off before 6am. The Primitivo pilgrims are, so far, early risers. Everything felt different, and as I walked out of Oviedo, I thought about how unexpectedly strange it is to be starting a new Camino. All along I was so focused on the Norte, and even though I knew I’d be walking the Primitivo, I didn’t actually THINK about it all that much. But now that it’s here, and now that I’ve completely lost everyone that I knew on the Norte (except for maybe Guillemette, who showed up at the albergue here but it was full and she had to walk on), I’m understanding that this really is a new Camino. I have to keep practicing being open to all the experiences here, which was my word when I started: open. As I walked through the still wet streets of Oviedo this morning, I was immediately caught in a group of three other pilgrims. I led the way to the cathedral, but then ducked into the first open bar I found to separate myself. But for much of the walk today, I wasn’t alone- always someone ahead of me or behind me, until the last hour. Compared to the Frances, this is nothing… you can’t exactly call this route crowded. But compared to my last few days on the Norte, this feels chaotic. I’m hoping things will thin out over the next few days, as people stop at different places and towns; I think it will. As it is, multiple people were turned away from this albergue as they arrived this afternoon. It almost made me feel that I should have kept walking and gone further. So many people have just started their Camino today, and while it wasn’t too challenging, it also wasn’t an easy day. 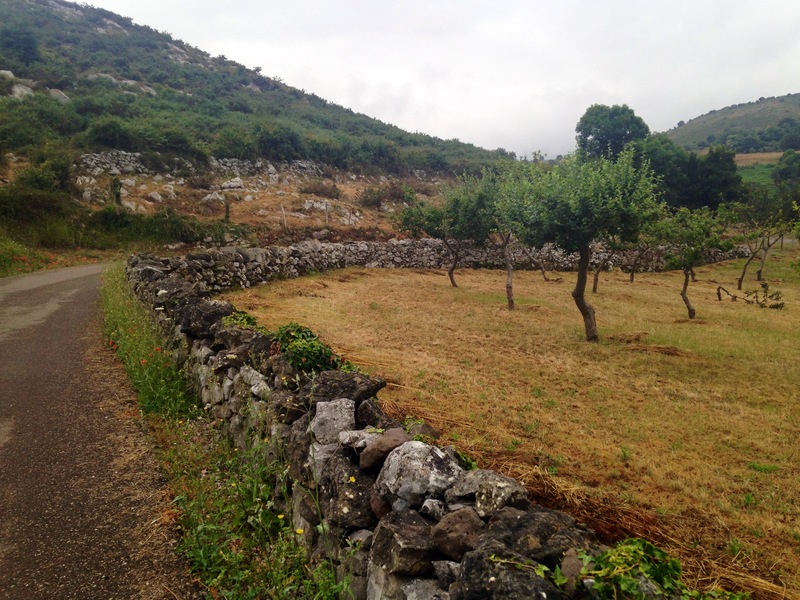 I arrived at the point where I could turn right for the albergue or continue straight for the Camino, and I hesitated. It was 2:30 and the albergue was yet another one in the middle of nowhere, with no town or bar or shop nearby. I was a little tired, so I decided to stop. And all I can say is… this place is kind of strange. The albergue itself is nice, it’s on a hillside with a nice view down to the valley we hiked up from to end the day. There are picnic tables outside and a nice kitchen, a coffee machine, the option to buy beer or wine (I’ve learned my lesson after carrying that bottle of wine for 40km… even in the middle of nowhere, you can usually get wine). But the hospitalero, he is something else. When I arrived he wasn’t here, but the albergue was open and people were milling around. I was told that I could claim a bed but I wasn’t allowed to put anything on it. I hung around for a bit, uncertain about what the procedure was like here; normally you hand over your credential to get it stamped, pay the night’s fee, choose a bed, spread out your things, take a shower then wash your clothes. Here, everything was backwards. The hospitalero showed up and marched around, removing walking sticks from the bedroom, pointing to packs and telling people to hang them from the hooks on the end of the beds. He took dishes from our hands and told us they needed to be cleaned, he asked if we had clothes that needed to be washed. Most people staying here are Spanish, the hospitalero speaks no English. One girl tried to translate a bit for me; she asked if I had clothes to be washed and I nodded, pointing to the shirt on my back. The hospitalero looked at me and told me to give him my clothes. “I’m going to shower first,” I said. “No,” he shook his head. Everyone in the room laughed, and it WAS funny. I was given a basin to put my clothes into, and sent to the bathroom to change. I realized that he was going to start a load in the washing machine (not that he was making me wash my own laundry), but it was still bizarre. He’s done at least 5 other loads since then, so I’m not sure why I had to give him my dirty clothes in that moment… but that seems to be the way things are here. It’s now 7:00 and the hospitalero has been roaming around for at least 3 hours, constantly checking on things. At first I couldn’t decide if he was being super accommodating, or if he was a micro-manager, or if he just likes an audience. I’m thinking it’s a bit of all three. Twenty minutes ago someone said to me, “I think it’s time to have our credentials stamped,” and I looked outside and saw the hospitalero set up at a table, a line of people around him. He’s strange, but he’s kind: he offers water to pilgrims as they arrive, he is doing our laundry at no cost, he is checking to make sure we have what we need. Right now I’m sitting at a table with two guys and two girls from Poland, and drinking some of their boxed wine (0.59 euros). We’re very much in the minority here, being non-Spanish speakers, and one of the Polish guys who speaks good English befriended me earlier this afternoon. 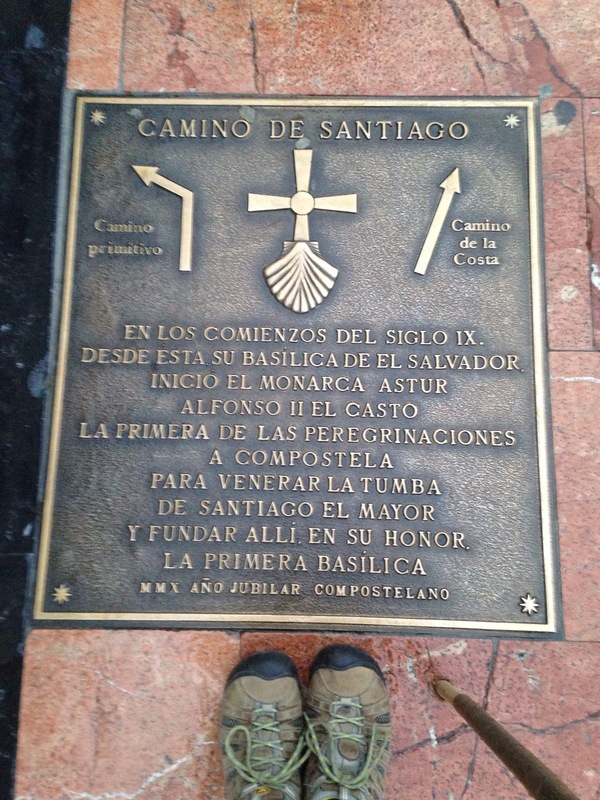 He’s walked about 6 Caminos and did the Frances in 20 days. He’ll do the Primitivo in at least two days less than I will; his group wakes up at 4 or 5am to begin walking. I’ll probably see them for the next day or two, but then will lose them. Already I’m regretting it a bit- I’m sure I’ll run into some other English speakers in the next few days, but right now there are not many. There’s one other thing that unsettled me just a bit: the hospitalero just passed around a sign up sheet to make a reservation at a private albergue that would end tomorrow’s stage. It’s the albergue in Bodenaya, which I’d heard lots about and had made a note to stay there. There are only 18 places, and the Polish guy and I were strategizing about how to get a bed there. But it turns out that the hospitalero here will call ahead and reserve a spot for us if we want it, and I’m not sure what to do. Right now my name is on the list but I don’t like it. I really want to stay at that albergue- it has a communal meal and is supposed to have a wonderful atmosphere, a bit like Guemes. But it doesn’t feel right that I should get to have a spot just because someone called ahead, and it doesn’t feel right that others will show up there tomorrow and be turned away. Even today, to see other pilgrims struggling and arrive here so tired, only to be told that there were no more beds… it almost made me want to give up my place so that I could walk on instead of them. The Polish guy said that I should just try to get there early, so that I am one of the first 18 to arrive, and that way I won’t feel bad because I know I’ll have earned my spot. I see the sense in that, but I still don’t like this. If I don’t put my name on the list, there may only be a couple of beds open, and I’ll need to be the second or third to arrive in order to get a spot. And I COULD try to get there as fast as I can tomorrow, but I don’t really like that, either. I’m not here to rush through the days. 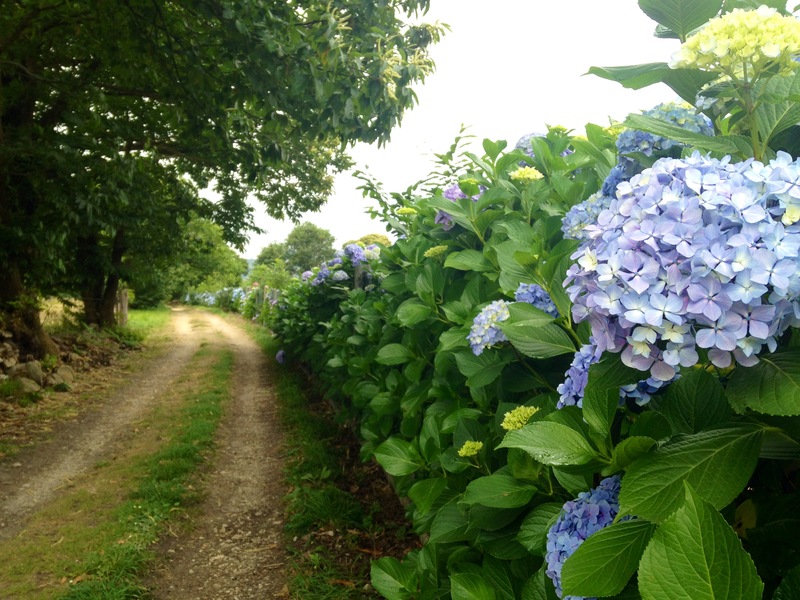 But this is just part of the Camino. I remember last year, how Mirra and I waited for nearly 2 hours in front of an albergue we wanted to stay in, to find out that it was already full even though we were the first ones there. People had called ahead to reserve their spots- something you can only do for private albergues- and we were out of luck. I remember being disappointed but also believing that it was just the way of the Camino; Mirra and I ended up having such a good afternoon and a great evening, and I was happy to have needed to walk on that day, that it all worked out okay. So maybe this will also be the way of the Camino, having a bed reserved in a great albergue. Sometimes I miss out, sometimes I get a spot. I just ate dinner with a French woman (the Polish group went to bed around 8:00; no wonder they can wake up and start walking so early). The French woman was the only other person I could really communicate with here, so we shared a bottle of wine and had a basic conversation (considering my level of French- it’s improved in the past few weeks, but it’s still not great). She also commented on how many Spanish people are here, and how strange it is that there are no other French. I wonder if this is typical of the Primitivo, to be predominately Spanish? In any case, this will be the group I’m with tomorrow evening as well, if I decide to stay in Bodeyana- I think most people here reserved their spots. This day and evening have been completely different than a few days ago… and those days were very different than a week ago… and it amazes me how much this experience can change in the day to day. But for this moment, right now, I can’t complain: I’ve met new people and had a good meal (spaghetti and tuna fish, an old favorite! 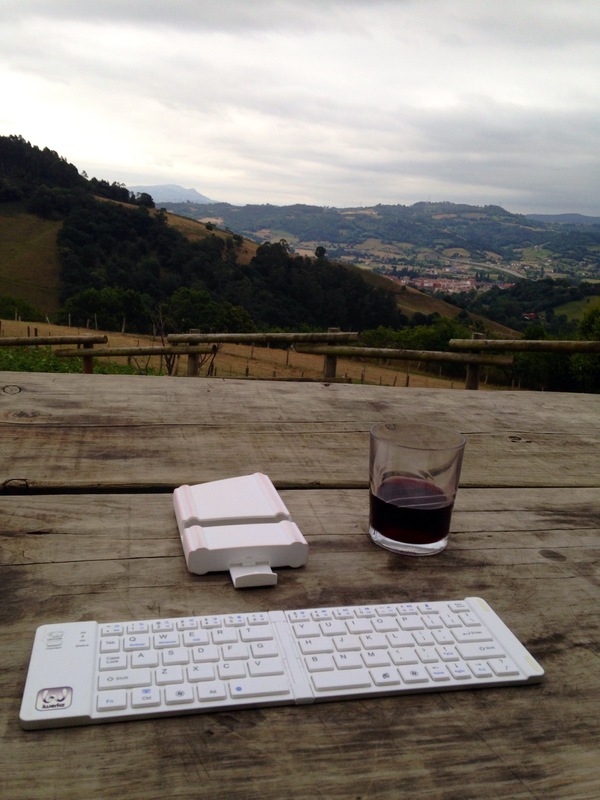 ), I’m finishing my glass of wine as I write this, sitting outside with a beautiful view down to the valley. The night is cool and everyone is wearing a jacket or a fleece: some are talking, others are writing, and others are just sitting here, staring out to the view. It may be a different kind of experience, but it’s still a beautiful one. Hi, enjoying your blog. We will walk the same route starting late next April from Irun to Oviedo and primitivo to Santiago. Enjoy and thanks for sharing. This is a stupendous piece; not just fluffy but some inner thoughts and questions. Nice job. Thanks. Thank you for commenting (and reading! ), Judy. 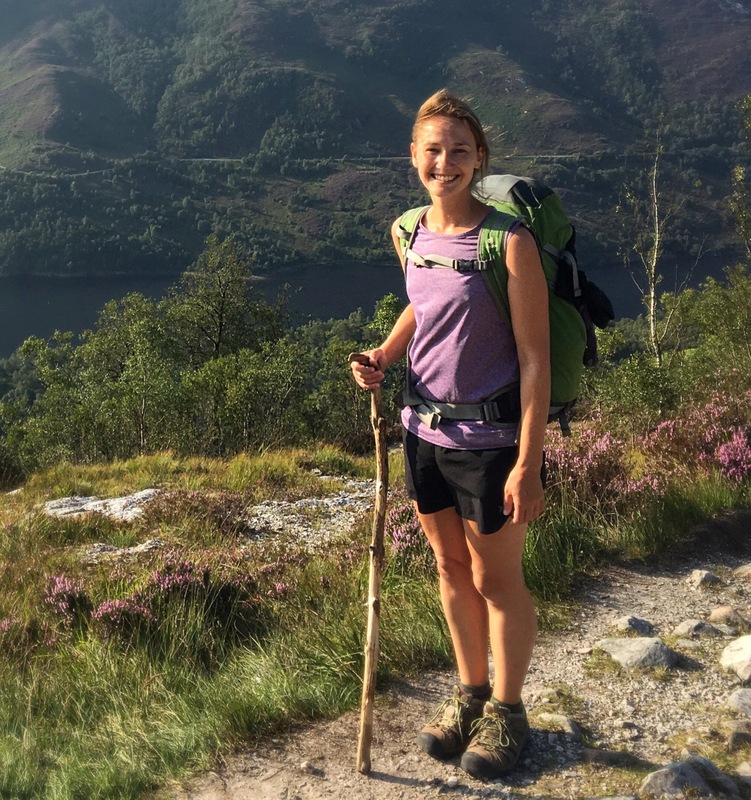 I’ve been reading your entire blog because I am thinking of doing the Norte next year and I’ve loved following along with your descriptions and tips throughout each leg of the walk. Did you only do one post about the Primitivo? I’d love to know more. Thank you so much for this comment, and I’m so happy you’ve found your way here! And a BIG thank you for alerting me to a problem with the blog- you were right, there was no way to navigate to the other Primitivo posts! In fact, I had a little trouble finding them myself! Hopefully I’ve fixed it- I’ve gone back and added links to the posts, so if you pick up from this one and go to the end of the post, you’ll see a link for the next one.